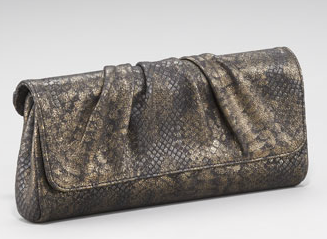 You may have heard (from fashion geniosities like Wendy Brandes) that snakeskin is the animal print du jour this fall! I love it on shoes and purse, like this Laura Merkin clutch! Buy at Neiman Marcus for $250. Did you read my post on Stylelist today?